The Lonsdale Cruiser hook and loop training gloves are manufactured from durable synthetic leather and ensure a secure and comfortable fit thanks to an elasticated hook and loop closure. These lightweight gloves have a stylish design with the Lonsdale lion and are made specifically to fit and protect small and medium hands. They use I-core technology delivering anatomically shaped inner padding for a more natural fit and offer M-core moisture control technology for improved breathability. for submitting product information about Lonsdale Cruiser Hook and Loop Training Gloves We aim to answer all questions within 2-3 days. 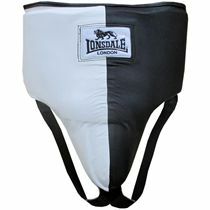 for submitting product information about Lonsdale Cruiser Hook and Loop Training Gloves. We aim to answer all questions within 2-3 days. If you provided your name and email address, we will email you as soon as the answer is published. for submitting product review about Lonsdale Cruiser Hook and Loop Training Gloves.